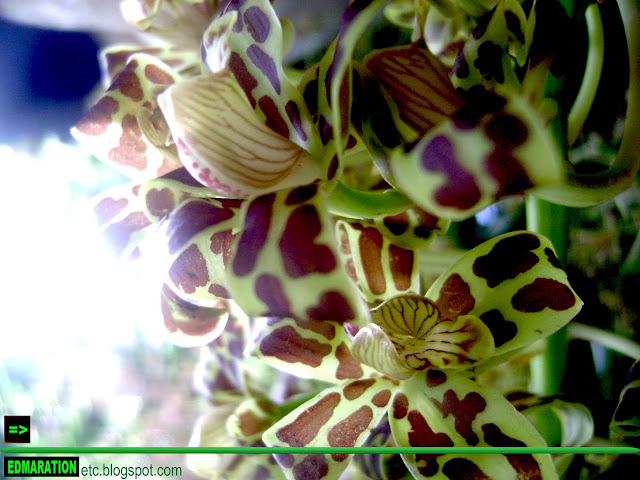 Home Albay All Bicol (Region 5) Daraga Luzon OPINION Philippines WILDLIFE [Daraga] ► Albay: Wild Orchids from Mt. Mayon Forests: To Buy or to Boycott? [Daraga] ► Albay: Wild Orchids from Mt. Mayon Forests: To Buy or to Boycott? 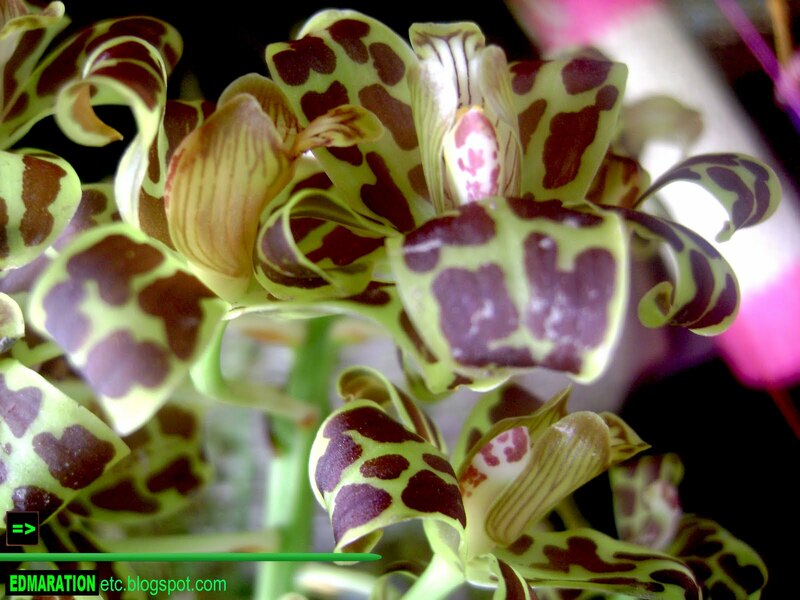 "I am not against selling these wild orchids per se, but of course the community and our society must be aware that it may face extinction if the demand grows which is already happening." These wild orchids really look so charming and inviting. Their appearance is very unusual, a very different presentation of a wild orchid. It has brown spots in the light greenish petals. It also has an amusing and refreshing sweet fresh wild smell. However, beware for those with allergy for pollen, it might still trigger you. I met a mid-30 woman in souvenir shop inside the premises of the Cagsawa ruins in Daraga, Albay of Bicol Region in the Philippines selling different products and goods. There are also a lot of flowers usually are orchids displayed in her store. The woman looks just like an ordinary vendor, nothing so special. She has been living her whole life selling these products for the tourists. I asked here, "Why are you staying here in this place? The volcano may erupt anytime. How about these things you are selling?" "This place is where we earn for a living." She replied. "The moment the volcano erupts, we will be evacuating," she added. Suddenly I noticed the very beautiful flower in the flowers section. I asked what it was and the woman told me it was an orchid. I was surprised! I asked here where it is coming from and she answered me it is from the forests of Mayon Volcano. I didn't know what to say. As a nature lover and an environmental advocate, I am not in favor of the selling of wild animals or flowers because most are endangered. But, how can I balance the situation? The woman needs something to earn for a living and this wild orchid is very much inviting for buyers. One thing more, the selling of these kind of things from the wildlife is prohibited by law most especially if they are endangered. The beauty of Mayon is really eternal. Although it might be destroyed due to a tragic natural phenomenon (hope it'll not happen), the beauty will still remain in our hearts. But it's natural beauty is also a home for other natural beauties such as these wild orchids. According to the woman, it is not easy to find it everywhere because it is somewhat endemic in Mayon (this needs confirmation). So this means that the Mayon Volcano is a home for flora and fauna, more wild species of organisms and the like. So it is the responsibility of the community to take care of its beauty because its beauty comes in package which includes the symmetrical cone, the vegetation, and these wild organisms living in its slopes. I am not against selling these wild orchids per se, but of course the community and our society must be aware that it may face extinction if the demand grows which is already happening. It has also happened to the sea turtles' high demand for their eggs.This is an issue that shouldn't be ignored. It is of national interest for our natural heritage. Now, this will leave a puzzle for us. Should we buy it for all the vendor's profit or boycott them to preserve their existence? As of now, I already have my stand but everyone is entitled with their own idea.